Wondering how I should behave around these. I really need to focus more on the specific scale patterns so I can determine which sub-species it is. How close were you to the snake? A remarkable photograph indeed. I took this with an iPhone, so it was only about 3 feet away. 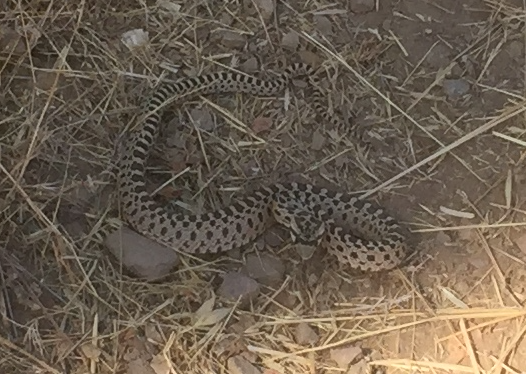 The snake is small and could only strike a few inches. Would have preferred my SLR camera, but I had forgotten to put it into the car when I left the house. The SLR has a zoom lens and it will get me a much better picture.